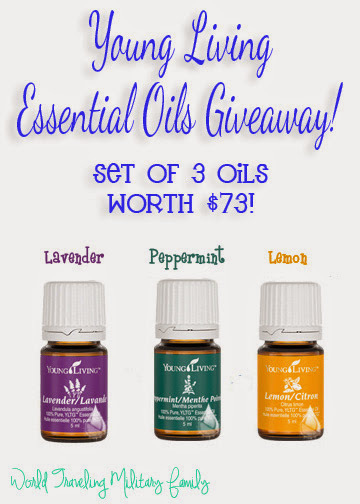 The Young Living Essential Oils giveaway is for 3 oils (Lavender, Peppermint & Lemon) worth $73! 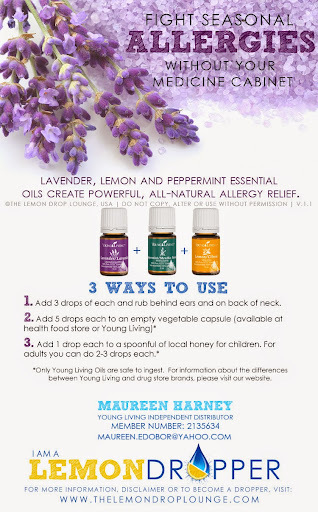 If your not familiar with Young Living Essential oils, Maureen Harney, has some great information below and you can also check out her Facebook page, she also offers oils classes for those who may be local as well, contact her for more info! “Essential oils are life blood of a plant, they carry oxygen, protect the plant, very concentrated and one drop contains hundreds of beneficial compounds. Young Living Essential oils are 100% pure therapeutic grade oils, No additives, and most of them can be ingested. The essential oils are amazing to help alleviate all sorts of things from allergies, poor sleeping, skin issues, headaches, bug bites, sore throats, coughs, colds, flu, stuffy noses, energy and the list goes on and on. The essential oils from Young Living are all therapeutic grade oils you can diffuse, apply topically, and ingest. They are a great addition to the conventional medicine cabinet. I have personally used all the oils in the kit, my favorite way to use is to diffuse them. I love the smell around my house. Diffusing thieves kills over 99% of airborne bacteria, so I have a diffuser at work and at home. Lavender and peace and calming is another one of my favorite,,we use this every night for bath time and diffuse for a good nights sleep. I have also used lavender for my babys diaper rash, thieves and peppermint diluted on the bottom of her feet when I feel like she may be getting sick, allergy trio (pic attached) for cough and colds. 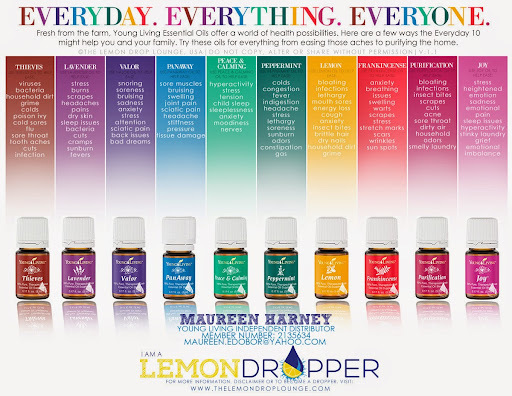 These oils are are amazing….So, my biggest recommendation for someone new would be the Everyday Essential Oils kit… it has SO many awesome oils in it that can be used for a multitude of ailments. It is $150, and comes with 10 oils (one being Frankincense which is one of the most expensive oils out there), 2 sample packets of each of the top 5 oils, PLUS a diffuser! The diffuser alone is $95!The kit also makes you a member which would give you the 24% off any reorders/future purchases you might want to make. Think of it like a SamsClub membership… you pay your member fee (which is ordering the kit) and you get the special member pricing. So the good news is that you get like $300 worth of oils for $150. I have attached a picture of what the kit comes with and what all you can use the oils for. Bea has found peppermint oil to be very helpful here in Germany! Since we’ve moved here she’s been experiencing car sickness on the windy German roads. We’ve started using peppermint oil on the bottom of her feet and it helps so much and prevents her from having to take Dramamine and be knocked out for the trip! So now that you know about the oils & what they can do who’s ready to win some goodies? Maureen is offering the 3 oils in the allergy trio picture above. The allergy trio includes lavender oil (to soothe sore noses), Lemon (to help thin out mucus), and Peppermint (to relieve congestion and sinus headaches). An estimated value of $73! Which oil would you like to try or love to use?! Enter below for your chance to win the Young Living Essential Oils! This giveaway is open to all US residents and Military overseas with an APO/FPO address, see disclaimer for all rules. I’d love to try any of these but I’m also wanting to use cinnamon. I have never tried oils and I would definitely like to! Me too. What do you use peppermint for? I would be so thrilled to win this trio. Not only to keep myself healthy but also for lavender for sleep. Thank you! This Trio sounds wonderful and would love to learn more about these amazing oils and the health benefits it offers! My son has diabetes and lives and works away. I would like to send these wonderful oils to him so he can use them for natural healing. Hi ma’am, send me a message on fb if you have any questions. I’d like to meet up with you if you are in the local area if you like. I LOVE THIEVES! and i want to try so many more oils! These all look great! I am new to essential oils, so I would like to try all three!!! 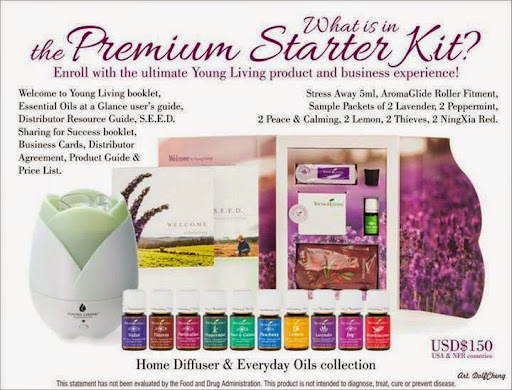 Hi cassie, I can send you more information about young living essential oils. Leave me a message on fb. We can set up a time to meet and I usually have an oil class that you could attend. I have never really tried oils before. I currently have a household of sick people and am reading a lot about eucalyptus oils. I have always been a fan of the smell of lavender!! I’m sorry to hear that. I like eucalyptus, young living had an oil called rc, which contains 3different eucalyptus and they always help us relieve congestion. Check out thieves essential oil too, I never leave home without it. I’d like to set up a time to meet with you if you are in the local area. Message me on fb if you have any questions. I have been wanting to try the Thieves oil blend. Yes, I use lav for a lot of stuff too. Send me a message on fb if you have any questions. I’m interested in the lavender & peppermint. But really, all of them! I’ve just heard such good stuff about oils, I want to try & learn! Thanks for the chance! I love EOs so much but have shied away from YL because of the party plan bit…would love a chance to try them and see if my mind is changed though! I love both the lemon & wild sweet orange oils in my water. Not only does it help me meet my daily hydration goals, I get the benefits of the oils throughout the day too! Helps my mood & focus all day long! I want to try grapefruit in my water! They that with peppermint and lemon, it’s awesome. Message me for more information. I would love to try some! I love using peppermint oil and tea tree oil. My favorite is Valor because it helps me so much emotionally. Lavender is another one I like for sleeping. Yes valor is another one of my favorites, let me know if you have any questions. I’ve never tried oils but would like to! Send me a message on fb and we can set up a meet, so that I can bring my oils and talk to you about them. I also offer classes as well. Peppermint is the best because nausea is THE WORST. Must have! And smells so yummy too. I would love to try the lavender to help me de-stress. I would love to try the lemon oil! I’d love to try the lemon. I would love the lavender! Haven’t tried that one!